Dr. Willard R. Johnson is MIT Emeritus Professor of Political Science. During thirty-two years (1964-1996) of teaching, research and publishing at the Massachusetts Institute of Technology, he specialized in topics relating to African studies, comparative and international politics, and promotion of development in American inner-city areas. 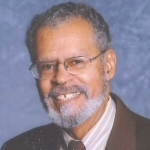 In 1991, he founded the Kansas Institute of African American and Native American Family History (KIAANAFH) as a non-profit membership organization to document and commemorate the experiences of pioneer African American families of the Mid-West, especially as regards the historic ties between African- and Native-Americans. Earlier, he had helped to found the national TransAfrica (the “Black lobby” on foreign policy) and its affiliated educational organization, TransAfrica Forum. He led its Boston chapter and founded its successor, the Boston Pan-African Forum. In the late 1960s, he helped to found and was the CEO of Circle Inc., a community development corporation complex in Roxbury Mass.